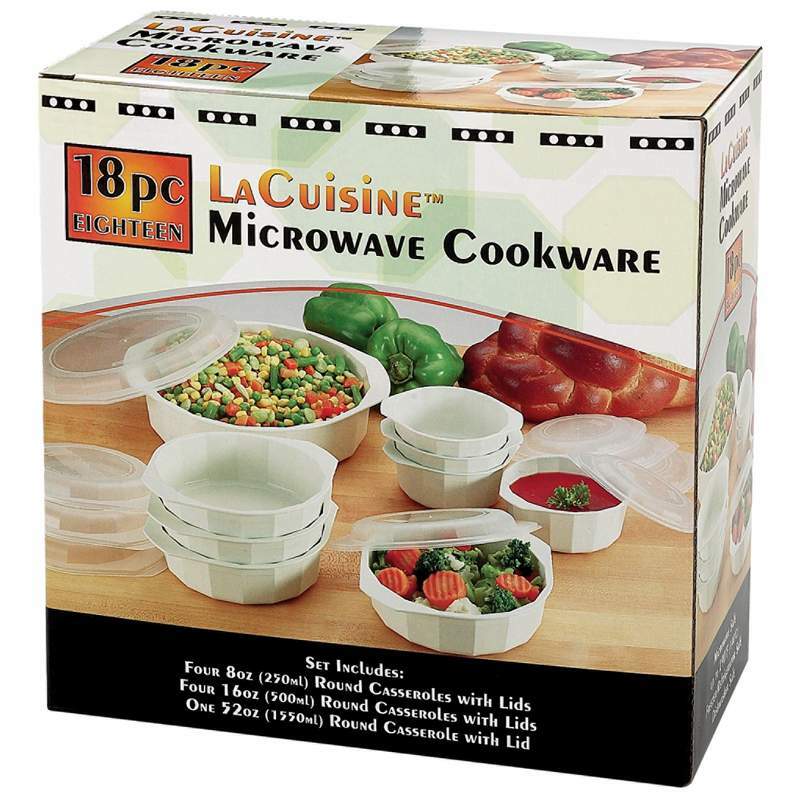 LaCuisine 18pc Microwave Cookware Set. 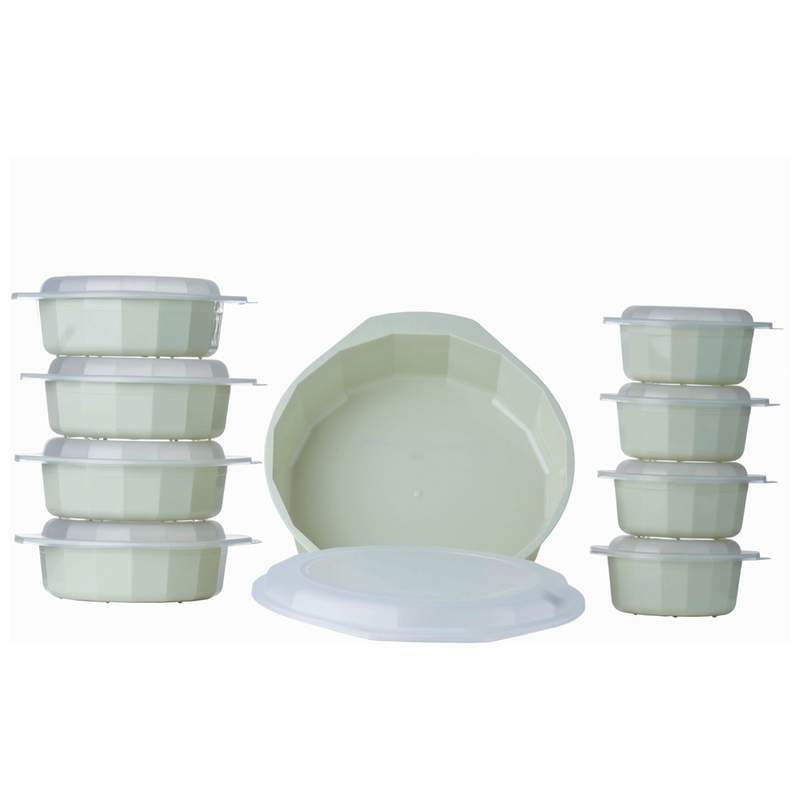 Includes a 48oz covered casserole, four 14oz covered bowls and four 8oz covered bowls. 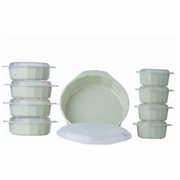 They are microwave safe up to 140°C/290°F, refrigerator and dishwasher safe. Table serving ready.